On September 11, 2014, influential community leaders, business women and entrepreneurs gathered for the first annual Outstanding Women’s Gala Awards Dinner in Berkley, Michigan to honor the winners and learn from their inspiring stories. Woman of Achievement is a woman who has attained a high rank and utilized her position, stature and expertise to effect positive change for the LGBT community in Michigan. Outstanding Entrepreneur is a female business owner who not only strives to build a great company, but also contributes to the success of other women entrepreneurs. Mentorship Award goes to a woman who serves as an example of hard work and effective management and who demonstrates a powerful commitment to mentoring other women and helping them advance. Charitable Giving Award goes to a woman who has gone above and beyond through initiatives to provide services that benefit other LGBT community members in need. 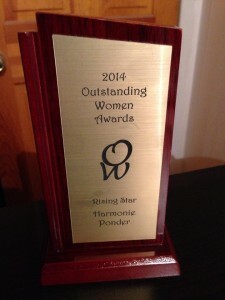 Rising Star is an up-and-coming female in our community. Activist Award goes to a woman who has worked to improve politics, policies or practices effecting change for women at her job or in her community. Community Leader is a woman who has used her time and talents to bring people together as a leader and role model in the community. Women in the Arts Award is a woman artist or musician who has shared her talents with the community and followed her talents and passion for the arts. Team Leader is a woman who has used her time and talents to create, manage and bring teams together in sporting and other group events. 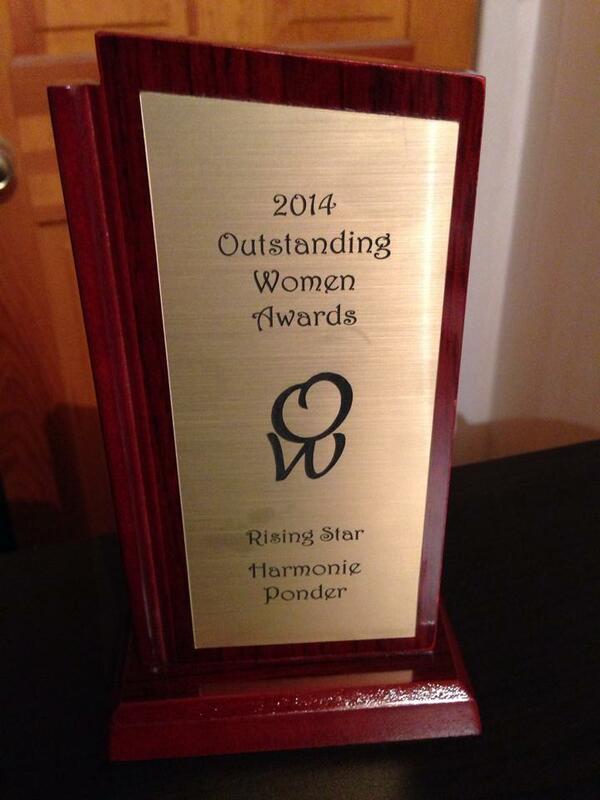 Harmonie was the recipient of the Rising Star Award, an up-and-coming female in the community.